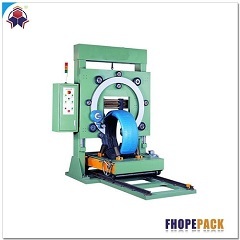 FHOPE as the leader of steel wire coil packing machine manufacturer provides high quality machinery to help with your packaging process. We combine your needs and our rich experience to provide the unique service to each customer. PLC and HMI help the machine run automatically, through control system, users can easily control and modify the information. All the error occured will be shown on the interface, give the users a more clear view of the progress. 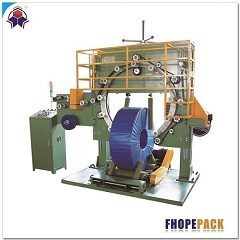 Fhope has rich experience and solid reputation in designing and manufacturing all sorts of wire coil compressing, wrapping and strapping packing machine. 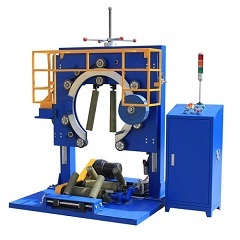 We offer different wire packing solutions to different customers to meet their special and unique requirement. 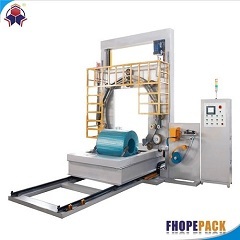 Strapping by PET or steel belt, logo tapping, weighing, stacking....all types of machines will provide a tidy and perfect package to our customers. 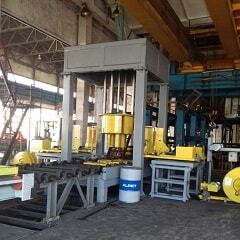 We also provide semi-automatic and full automatic options to our customers, high efficiency and cost effectiveness will save power and material cost. 1. 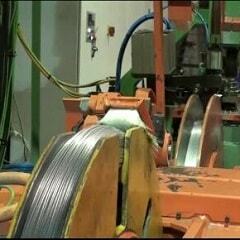 The different wire packing solution available varies from coil size. 5. 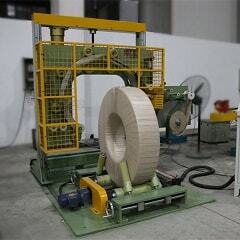 Automation in wire industry for packing. 6. 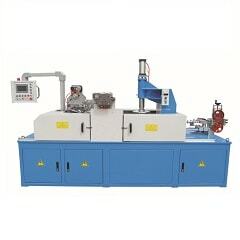 Customize automatic packaging system such as wire rewinding and strapping machine, compressing machine.